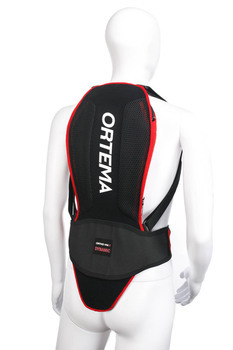 Newly developed Central-Back back protector Certified to EN 1621-2, protection class 1. 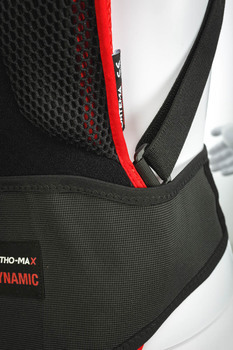 Very light back protector with large mesh inserts for maximum air circulation. Movable individual layers and passform in the edge area provide better adaptation to the back contour An integrated shock protection additionally protects against sharp objects. Quick adjustable shoulder straps over Velcro for optimal comfort. 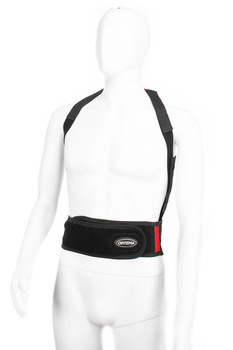 The anatomical kidney belt is adjustable in height and thus ensures safe positioning of the protector. Due to the attached flat deflectors, the back protector can be immediately combined with the Ortema Chest Protector (OCP). We like the high quality of material used in this back protector. Covering the full length of the spine from just below the neck downwards, it is extremely comfortable and well-ventilated. A wide range of sizes is available from adults to children at an extremely low price.